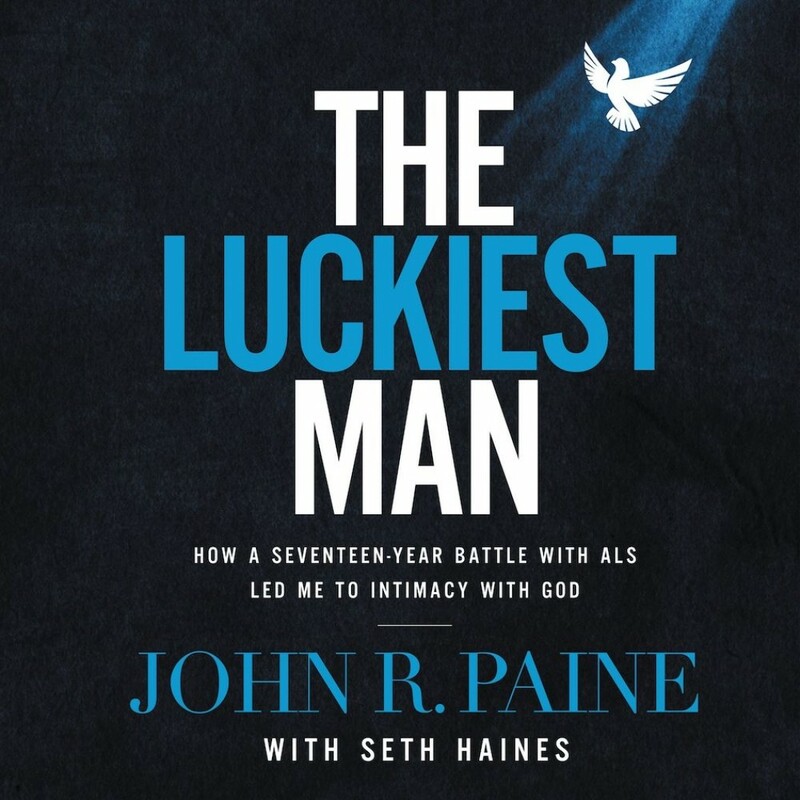 The Luckiest Man | John R. Paine with Seth Haines | Audiobook Download - Christian audiobooks. Try us free. How do you experience God's intimate, comforting, tangible presence? In The Luckiest Man, John Paine reveals how he found the answer to this most important of all questions--by facing a terminal diagnosis. At middle age, John Paine thought he knew what it meant to have a relationship with God. He was a successful businessman, a well-respected Christian leader, a Bible teacher, and - outwardly, at least - the spiritual leader of his family. He was satisfied and thought he understood what it meant to know and experience God. But did he? John's journey into true, mystical intimacy with God began when a neurologist diagnosed him with ALS, or Lou Gehrig's disease, and said, "Go home and get your affairs in order." Seventeen years later, John tells his story, recounting the ways God intervened in his life, freeing him from all that prevented intimacy with God, even as John slipped into pain, paralysis, and further toward death. In stunning, insightful prose, The Luckiest Man points to the God who lovingly, though occasionally painfully, drew John into the richness of friendship. In this profoundly moving memoir, John Paine reveals the secret to intimacy with God and provides hope to all who are in the middle of their own trials. They, too, will understand why John considers himself the "luckiest man".